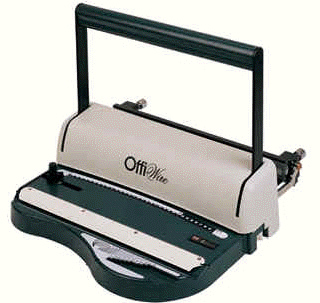 WM350 – 3:1 Wire Binding Machine – Small. Solid steel with 3:1 dies. Excellent for small offices where 34 loop binding is required. All Metal chassis – hardened steel dies, Adjustable bilateral closer – closes wire evenly. Easy to use.